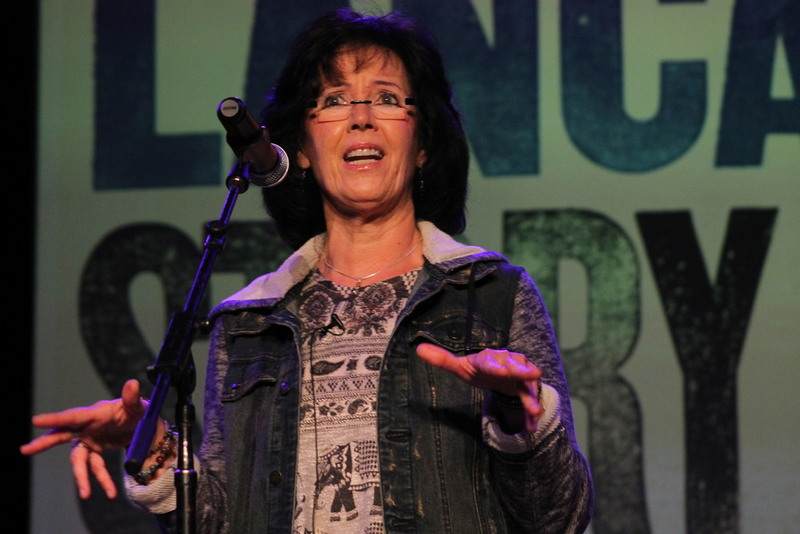 Our September 22 Story Slam is "Schooled!" 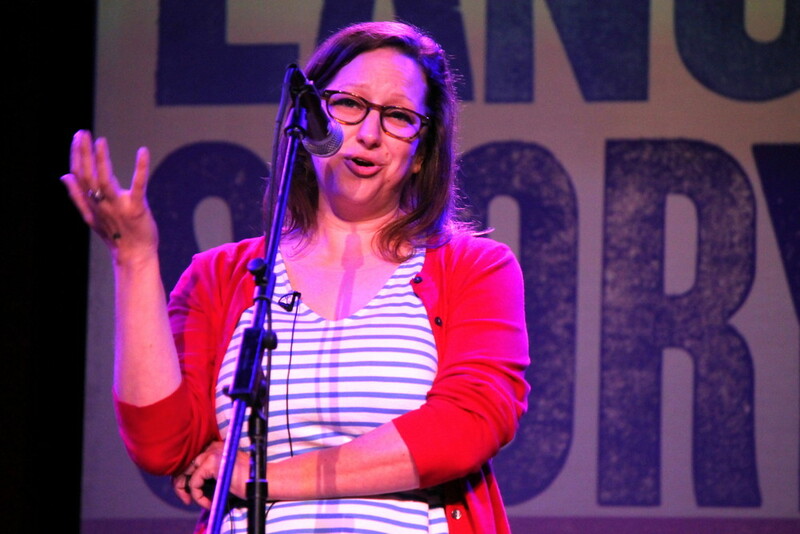 We’re celebrating September with our “Schooled” Story Slam! 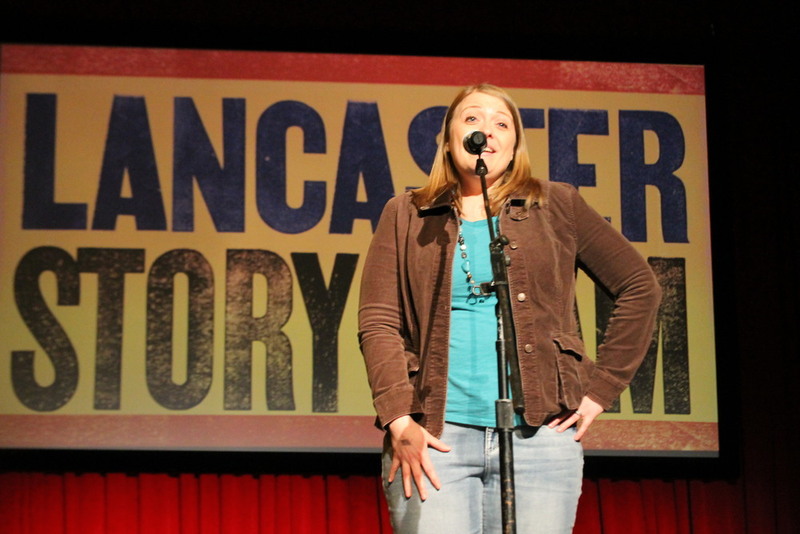 Our Story Slam will be held on Tuesday, September 22 at Tellus360 in downtown Lancaster. We only have two more chances to win a slot in our Grand Slam so start your homework tonight! What is “Schooled?” Tell us about a time where you taught someone a valuable lesson either inside or outside of the classroom. Perhaps you have a story about a time where you were “schooled” by an older sibling. 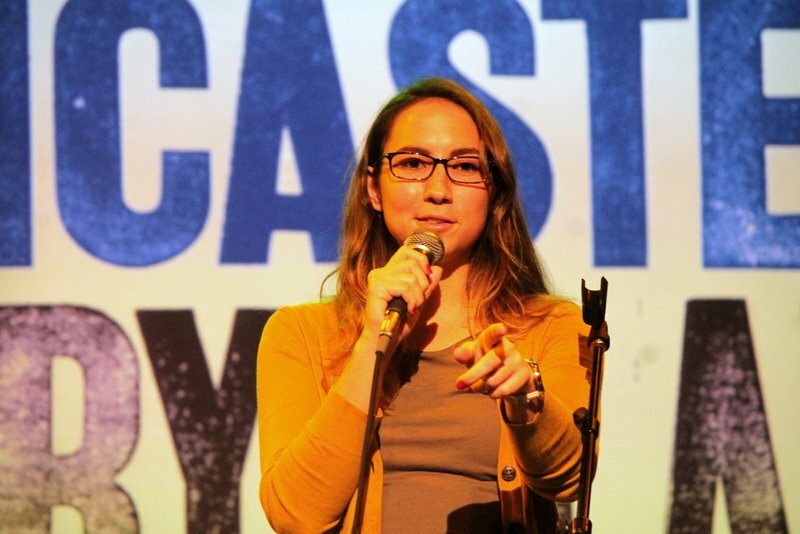 Tell us about how you learned about the real world – maybe it’s that first girlfriend who taught you love is a dog from hell – or that stranger you met one night at a bar during last call. Were you schooled by your parents or on the streets? What are the most important life lessons that you have learned the hard way? Let’s get the semester kicked off right. 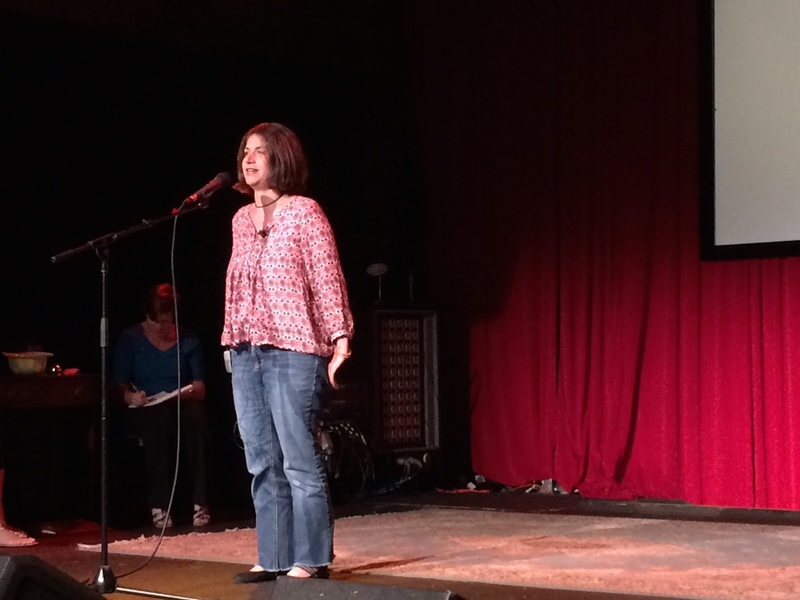 Join us at Tellus360 for the “Schooled” Story Slam. Tuesday, September 22 at 8pm. Pick up tickets by clicking HERE. 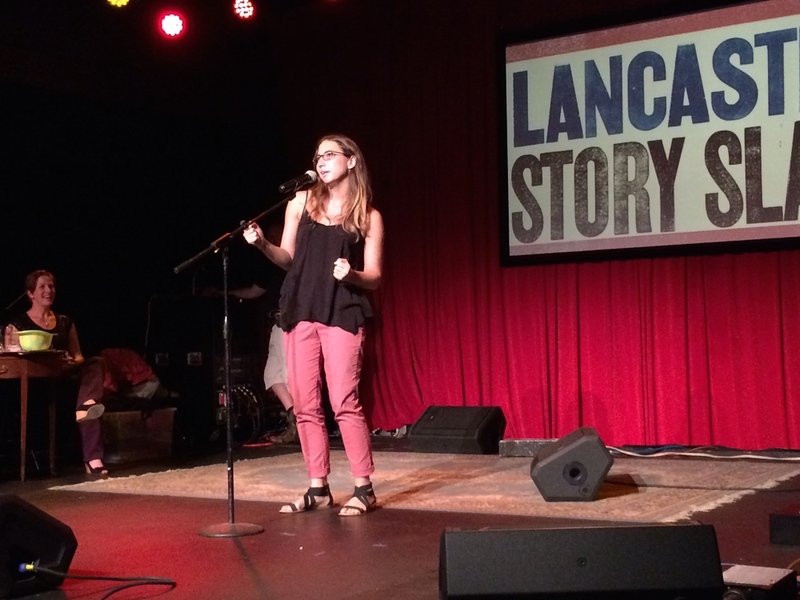 Our July Story Slam is "Boiling Point!" What's the angriest you have ever been? How did that work out for you? 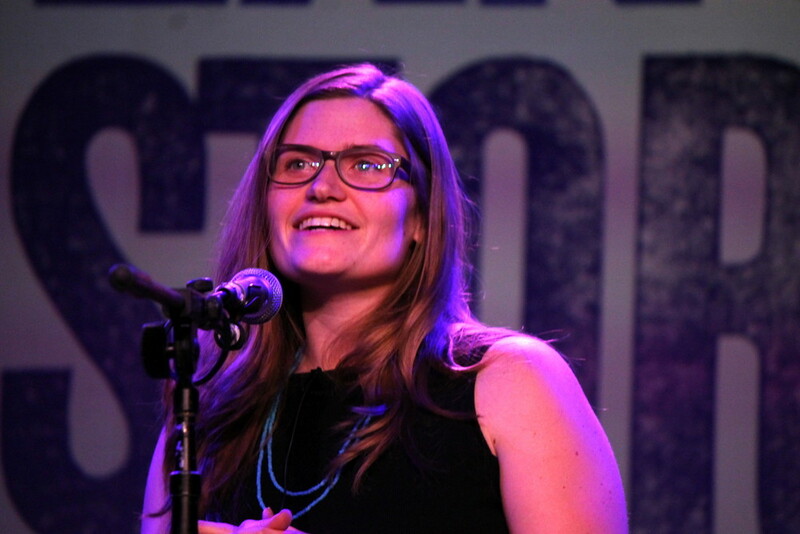 Our July 28th Story Slam is themed "Boiling Point!" We're looking for stories about unsettling anger and anguish. We want to hear about people stewing over small things. Have you ever been involved in a road rage incident? Have you had to take anger management lessons? Sometimes a practical joke can lead to angry moments if you catch someone at the wrong moment. Did anger get the best of you and you did something you now regret? Maybe you have seen a loved one express anger in a dangerous and threatening way and realized you needed to find out of a situation. We all express anger in different ways - some suppress it while other spew obscenities. Have you met someone who taught you how to manage your anger? Did you ever quit a job in haste or walk out of a relationship and not look back? Looking back, do you consider that action the right decision? Of course, your boiling point story could be about heating up a pot of water, or steaming a live lobster, or sitting in a hot tub, or scalding oneself. Come on out and tell your Boiling Point story at Tellus360 on Tuesday, July 28th. 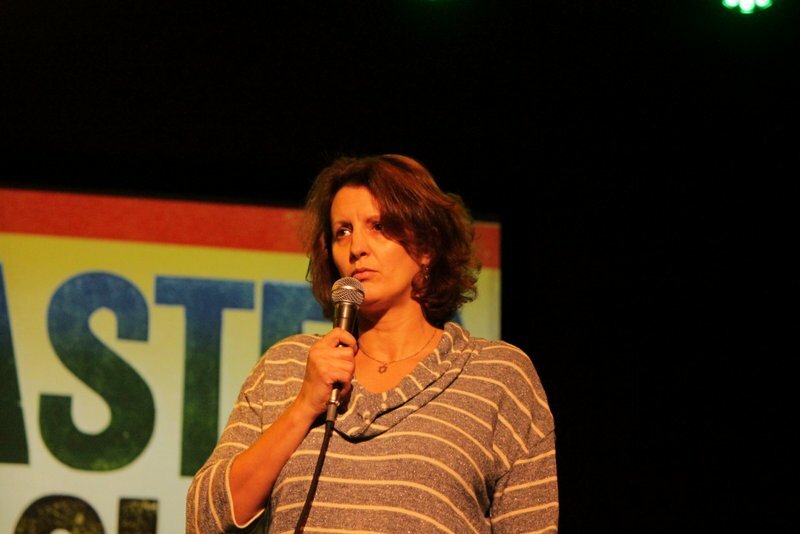 The Story Slam starts at 8pm. If you want to tell a story, sign up when you arrive. Pick up your tickets by clicking HERE. 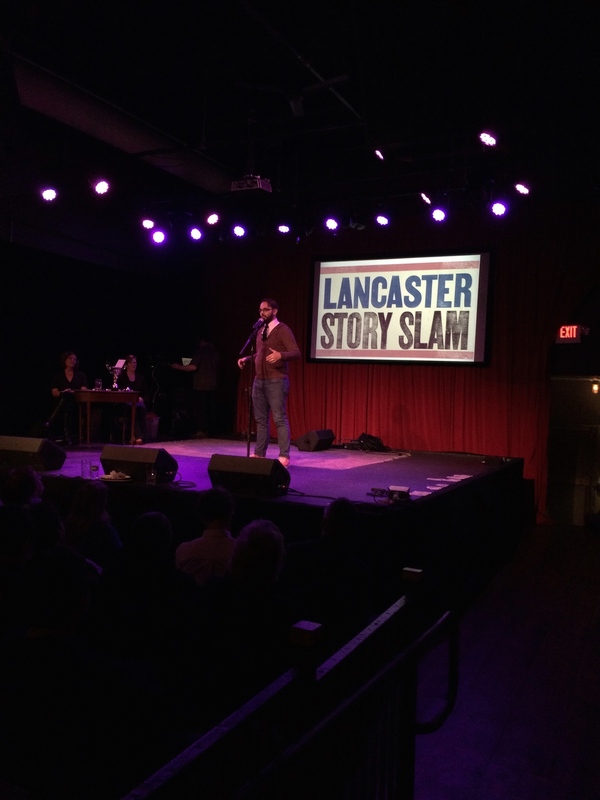 Frank Melvin wins our March Story Slam! 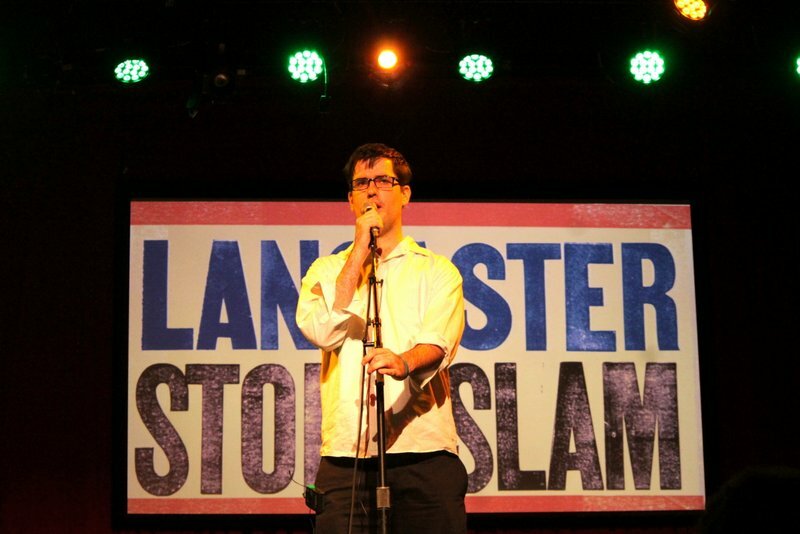 Frank Melvin won our "Good Vibrations" Story Slam with his tale of being caught by local police while making out with a girlfriend in a local park. 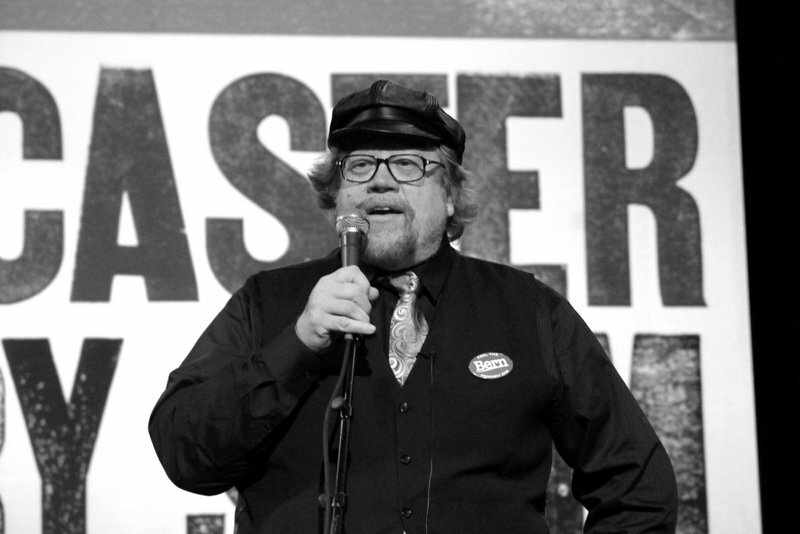 Frank took home the prized pint glass and has earned a slot in our November Grand Slam, where he will compete with this year's other winning storytellers. After the first round of scoring, Frank was tied with Dennis Boyne and the judges had to reconvene to cast their tie-breaking vote. Dennis told a hilarious story of the "Good Vibrations" he feels from his marriage. 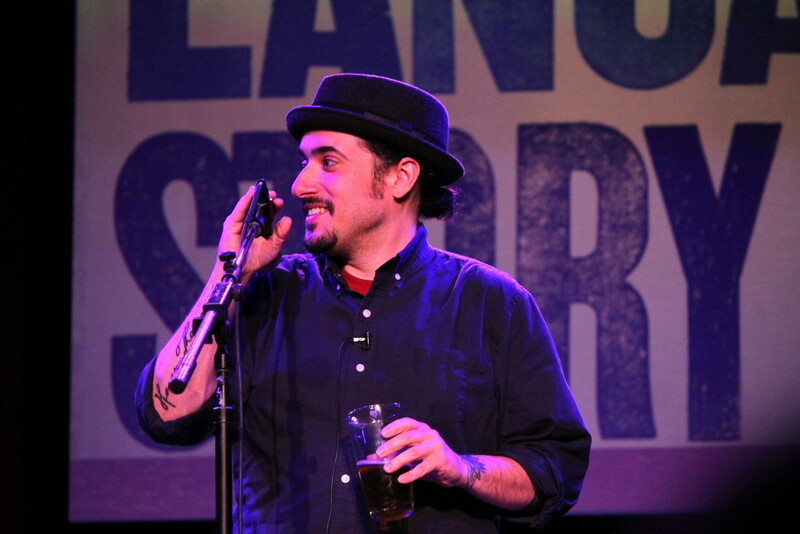 Our March Story Slam was filled with a wide variety of "Good Vibrations" stories: meeting a bisexual man on the street while texting, yearning for one's father, traveling the world, seeing Michael Buble in concert, trying to catch a plane, finding a deeper understanding to a James Brown song, being bear hugged by a stranger at a rock festival, working at QVC, and unknowingly sharing one's intimate moments with next door neighbors. 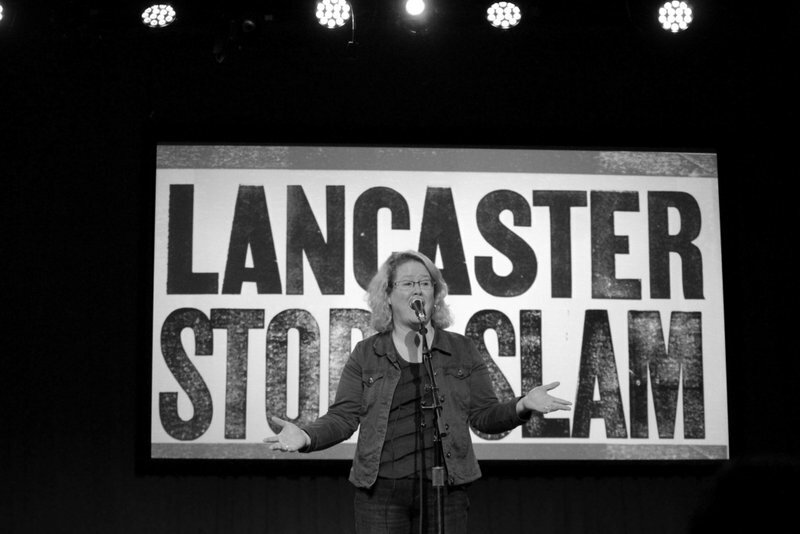 You can watch Frank's winning story below, and all our stories are uploaded to the Lancaster Story Slam Youtube channel soon so check back. 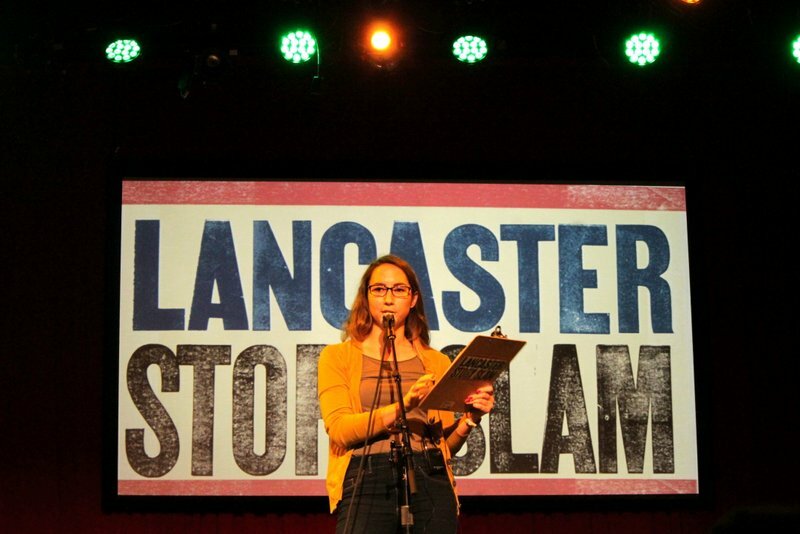 Meanwhile, save the date of April 28th when we host our next Story Slam, themed "Love Hurts!" Tickets can be purchased by clicking HERE. 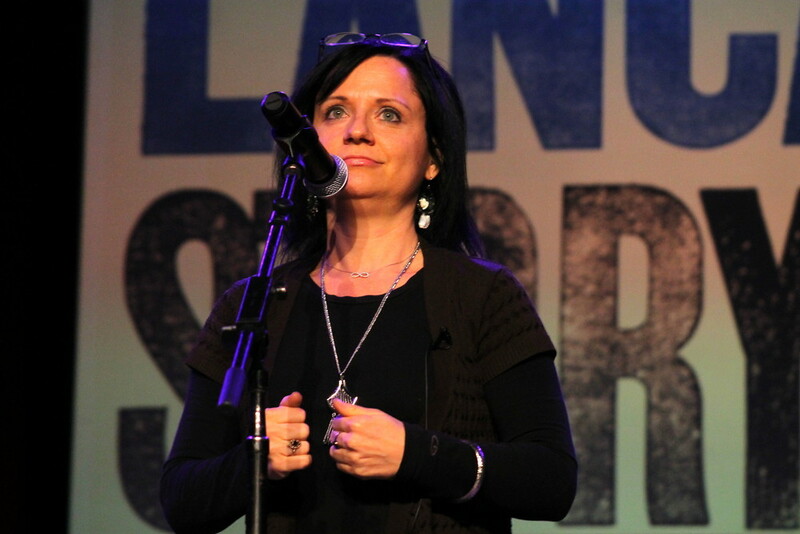 Thanks to Michelle Johnsen Photography for the photos!